Join us as we talk all things repair and maintenance with kayaks, canoes and SUPs! 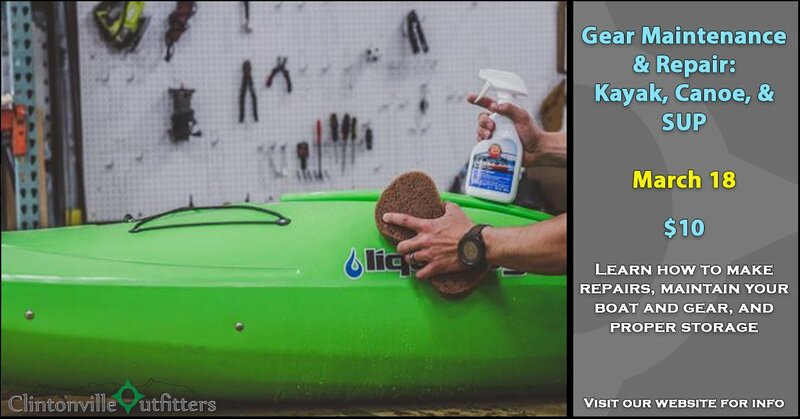 Learn on to make on-the-spot repairs, fix holes and scratches, how to store and maintain your kayak, canoe, or SUP, and how to wash all your gear. This class will go over hole, bungee, hatch, and scratch repairs as well as the proper way to store and clean your paddle gear in the off season. This will be located in our indoor classroom at Clintonville Outfitters. Any questions? Email our Outdoor Adventure Coordinator at erinsherrets@gmail.com or call the shop at 614-447-8902. *Online registration closes 24 hours prior to class or when full.